“Heigh Ho, Come to the Fair” is an old English folk song, and the fair I’m going to tell you about is two months away. But if you’re like me, your calendar fills up and you might want to jot down the date so you don’t miss it. The fair is a free one offered by the Maine Genealogical Society. If you’d like a chance to network with other genealogists and perhaps learn some new techniques and get tips, mark your calendar for Saturday, June 29th. MGS will be sponsoring a genealogical fair in Augusta from 9 to 2. The fair is open to everyone and is absolutely free. You don’t need to be a member of the Society or to pre-register. The Fair will be at the Cultural Building on the Maine State legislative complex where the State Museum, Library, and Archives are housed. In the lobby you’ll find vendor tables. Here you’ll have a chance to talk to representatives of the various Maine Genealogical Society chapters in Maine including my home one, Wassebec. There’ll be people there from various lineage societies and other groups. MGS will have a table of their transcribed vital record books available for sale as well. And, there’ll be a table with free brochures. If you’ve never visited the Maine State Archives, try to make this fair. The Archives, normally closed on Saturday, will be open that day offering tours and giving you a chance to learn what they have in their collection. This is a great opportunity to visit and find out if this is a resource you should plan a research trip to explore in the future. In addition, the Maine State Library will also be open that day with tours and personal assistance for researchers. If you haven’t visited the Maine State Library, I strongly recommend you do so since this is Maine’s premier genealogical library. If you’re a resident of Maine you can get a free library card that allows you to check out books and you can even return them at most local libraries if you don’t have time for a return visit. You can also order most books to be delivered to your local library as well through interlibrary loan. While many genealogical books are library use only you might want to spend your Saturday just enjoying the pure joy of the hunt for an ancestor. If you need another reason to visit the fair, there will be a panel of genealogists who will offer hints to help you break down or get around that brick wall in your family tree. The Maine Genealogical Society hasn’t announced their complete schedule, but you can learn more at www.maineroots.org. The information I’ve been sent also says there will be “surprises” during the day, which probably means door prizes and perhaps a speaker. So, Heigh Ho, Heigh Ho, if it fits your schedule, do take advantage of this wonderful event and have fun. Who knows how many cousins you may meet that day? 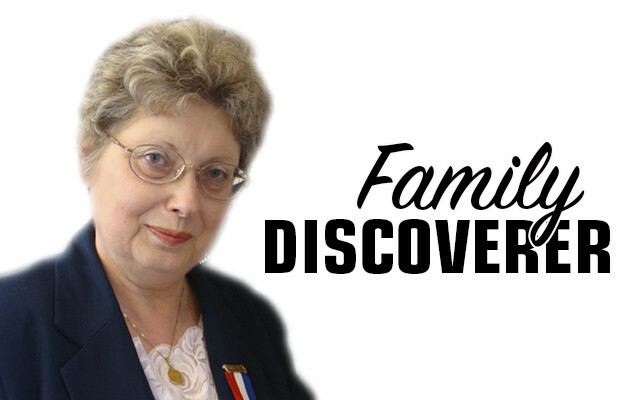 Columnist Nancy Battick of Dover-Foxcroft has researched genealogy for over 30 years. She is past president of the Maine Genealogical Society, author of several genealogical articles and co-transcribed the Vital Records of Dover-Foxcroft. Nancy holds a MA in History from UM and lives in DF with her husband, Jack, another avid genealogist. Reader emails are welcome at nbattick@roadrunner.com.